I’ve talked a lot about “adding value”, but haven’t spent much time discussing exactly what that means. 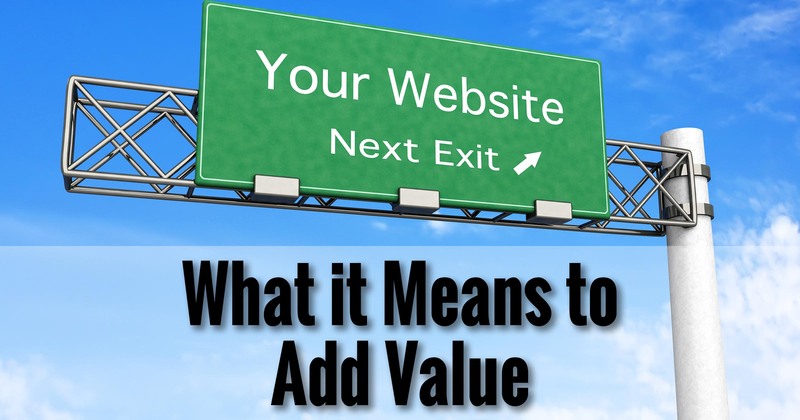 Given that it’s a cornerstone strategy to getting your website (and you) noticed, I’ll cover my thoughts on adding value and what you need to start doing, now. A wise friend of mine once made a very interesting observation: people go online for two reasons: pleasure or pain. They come to be entertained (or distracted – same thing), or they have a problem of some sort that is causing them pain, and they’re looking for a solution. The same might be true of the world at large, but since we’re talking about your website, I’ll limit my scope to the internet. Regardless of which it is – pleasure or pain – the way you add value is to facilitate their search: provide or lead them to the entertainment or solutions they’re looking for. My examples will primarily focus on removing pain, since it’s what I try to do myself, but providing entertainment is typically only a short extrapolation away. There’s certainly no shortage of pain when it comes to technology. After a lengthy career at Microsoft, I fell in with a group of internet entrepreneurs and began learning the ins and outs of what it means to run a business on the internet. As the techie at home and among friends and acquaintances, it was pretty common for me to get asked all sorts of questions, or be presented with various and sundry problems relating to current technology. The light bulb that went off was a very simple one: combine the two. Rather than answering each question once (or over and over, as was often the case), I could write up those answers and publish them online for anyone to see. Making my knowledge and expertise available added value to the world. You have knowledge, experience, and information in your domain. Be it a business of some sort, a cause or a message to promote, or a resource to provide, you know things that others may not. Sharing that knowledge is one way you can add value. You may be able to present information in ways that others cannot. For example, I often consider myself as much a “translator” of geek-speak as anything else. Information that can’t be easily understood is as good as no information at all. Making things accessible to a target audience is absolutely another way of adding value to the world. You can also add value in directing people to the information they need. Librarians, for example, don’t know everything, but they almost certainly know where to find it. If you can direct someone to someone else’s answer, particularly in today’s world of information overload, you relieve a little pain. You’ve added value. So far, the only content we’ve published on your web site has been in the form of what WordPress refers to as “Pages”. These are, exactly as the name implies, nothing more than pages on your site. Each page stands more or less alone and serves a particular purpose. You create the page, and then you link to it from somewhere, as we did with your “About” page. Posts are all that, but also have time-based structure and additional functionality associated with them. It’s no secret that WordPress’s roots are in blogging, and blogging is all about posts. WordPress will automatically collect and organize posts by date, as well as by tags and categories you can specify. Posts can be published automatically in various forms, lists of most recent posts can be displayed automatically, and much more. When you start publishing content regularly – which is what we’re discussing here – you’ll be creating posts. This sounds counter-intuitive, particularly if you’re attempting to build a business to make money, but there are several very practical reasons for committing to publishing your expertise regularly. It truly can help people. Seriously, depending on your area of expertise, you might be amazed at the impact you have. It builds your reputation. It’s a very tangible way of publicly proving yourself. There are no gatekeepers or filters; you get to show the world exactly who you are, what you know, and why you’re worthy of trust. It builds your reputation with search engines. Remember how I mentioned that less than 1% of Ask Leo! visitors even see my home page? They find Ask Leo! because of the thousands of articles I’ve published over the years. The good news is that it didn’t take thousands to start. In fact, it took only one. The key, for a variety of reasons, is to start doing this regularly. Set up a schedule – once a week is enough to start – to post valuable content that actually helps people. How do you know what will help? You probably already know a lot about your audience or potential customers. For example, I’m guessing you already have what many call a FAQ – a list of Frequently Asked Questions. You may not have it written down, but if I asked you, “What questions do people most often ask you about your topic?” you likely have an answer. That’s a fine place to start. Put together a post that is a list of those questions and their answers – or, if warranted, make it a series of posts. Or do both – a list of quick answers with more in-depth follow-up answers. Encourage feedback, both in the form of opinions and comments, or questions. Use that feedback to guide you. You’ll likely find that specific questions warrant specific answers, “themes” of comments may lead you to elaborate or discuss more areas in different ways, and common misunderstandings encourage you to focus and clarify your message in ways you hadn’t considered. Even if you get no feedback at all on your site, remember that every conversation you have, every email you send, even every article you read is an opportunity to spark ideas for you to build your own published content base. Listen to your audience however you can. Pay attention to the words they use and how they use them. Learn to speak their language – it’s by far the best keyword research you can possibly do. Then respond in kind – use language your audience identifies with. You’ll almost certainly need to educate a little, but if you can, respect and use your audience’s mindset. They’ll be more receptive to your message, and value what you have to say all that much more. I often refer to Ask Leo! as providing answers with a just little education snuck in. But if we’re giving it all away…. So I’ll get practical for a moment with several answers. If you provide a product or a service, you’re certainly not giving that away. If anything, you’re promoting it by giving away tons of information about it and why your potential customers might want to get it from you. 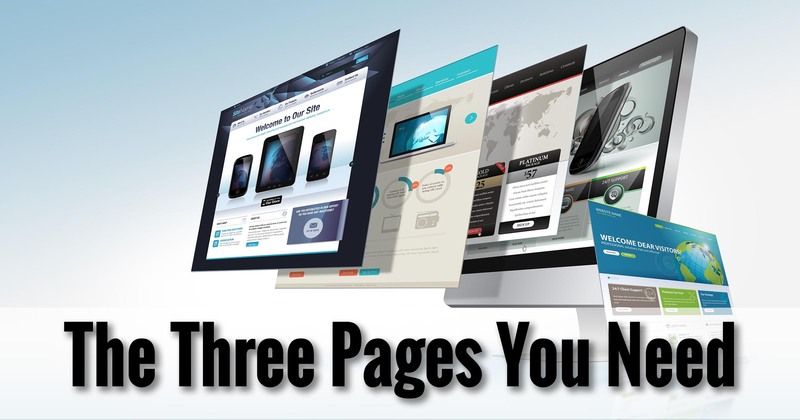 At this point, the goal is to establish your presence on the web and in search engines, launch your online reputation, and get visitors to your web site. “Giving away” a lot of free content is, in reality, a small price to pay for all of that. And besides … it adds value to the world. My recommendation to you right now is to start publishing regularly. Start with a FAQ, or topics that you know are of interest to your potential visitors, customers, clients, and audience. What does your tribe want to hear from you? Start doing that. To put some mechanics around it, set a goal to publish a new post of 500 to 1000 words once a week, religiously. (Your readers, and the search engines, love regularity.) Make it something that answers a question from or relieves pain for your audience. In other words, make it something that adds value. Our next step? Building your audience. I’ve only skimmed the surface of this whole “build your world by giving stuff away” approach. I want to include a couple of specific books you can read for more detail. 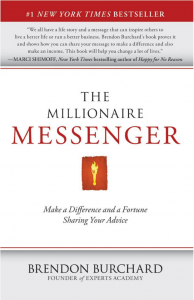 Reading The Millionaire Messenger: Make a Difference and a Fortune Sharing Your Advice, by Brendon Bruchard, was both exciting and validating for me. In many ways, it defines exactly what Ask Leo! is all about and is trying to accomplish. It’s also encouraged me to invest in various areas and continue to do what I do. (I’m still working on the “fortune” part, though 🙂 ). Particularly if what you’re doing might be considered anything even approaching being an “expert” at something, I highly recommend this book. 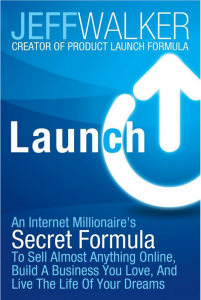 Ostensibly about launching products, Launch: An Internet Millionaire’s Secret Formula To Sell Almost Anything Online, Build A Business You Love, And Live The Life Of Your Dreams also builds on the approach of giving massive value as a way to build an audience and, as the title states, build a business. I’ve known Jeff since before his product launch days, and have tremendous respect for him both personally and professionally. Both books are also examples of what they promote: you’ll find that there’s a significant amount of free information available outside of the books, as well as additional materials should you wish to pursue either of them further. 1: Ask Leo! On Business is, in fact, an example. This website is, in part, an experiment along those very lines: assuming things go as planned, the content on this web site will be republished in book form. 2: If successful, it’s possible that Ask Leo! On Business might evolve into a more extensive online course, for example. 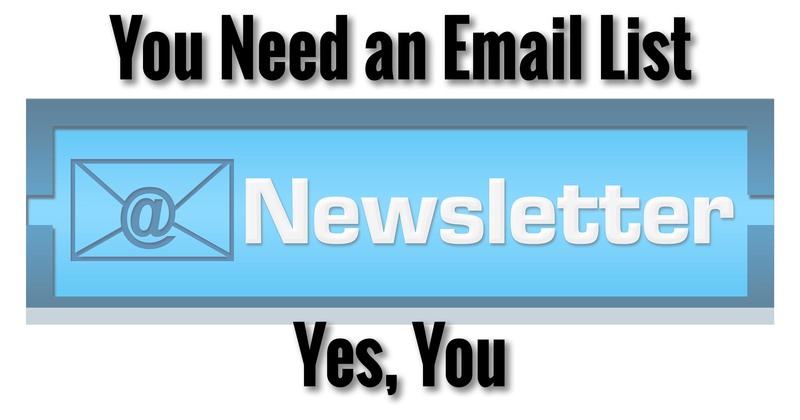 Next Post: You Need an Email List. Yes, You. If my website becomes very popular, can I make money by offering advertising space? Yes. Generally it’s easiest to subscribe to a service like Google’s Adsense, and let them handle the sales and placement. Direct sales are possible, but can be a LOT of work to maintain. Let me preface my comment by saying I’m a retired lady who has several side jobs to make enough $ to supplement my SS so I can meet my budget (I didn’t plan well for retirement!). I’ve read Ask Leo! for years and you have helped me out of many computer challenges. This year my goal was to start a blog, but life sorta got in the way. However, just at the time that Ask Leo! On Business started, a good friend asked me to help her set up a website for her new business, since I had already done a lot of research in prep for my blog. Reading about it and actually DOING it were 2 different things. So your instructions (so complete, pix and all!!) came at the perfect time. I was able to get her website up and show her all the ins and outs of WordPress so she’d understand. We’ve run into only one problem and I discovered it can’t be fixed with the basic theme that she chose (if I’d known then what I know now, I’d have had her choose a different theme). Themes still are a fuzzy area for me. Anyway, your timing was perfect for me and I thank you so much for starting this new site. You explain everything so basically and your screenshots are perfect. I’m a devoted fan and have also alerted others to your info. Thanks, Leo. Awesome! I don’t plan to go particularly deep in to themes, but I will say this: especially when it’s early changing your site’s theme is very easy.